What do you do when you crash twice in two days while getting ready for the Daytona 500? 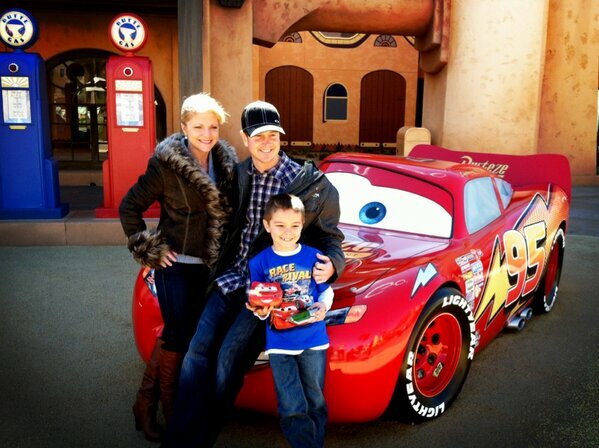 In Kurt Busch's case, the answer was simple -- he went to Disney World. Busch crashed while practicing and racing at Daytona International Speedway. His first wreck came during practice Friday for the Sprint Unlimited race. Crash No. 2 happened when he got caught up in a multicar wreck on Lap 15 of the 75-lap, three-stage Sprint Unlimited on Saturday night. Not much to laugh about there. 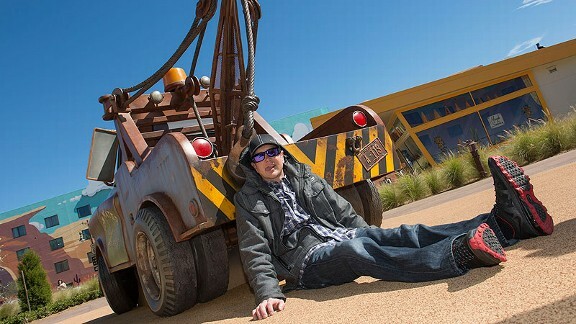 But Busch found some humor in it during a stop at Disney's Art of Animation Resort Monday. The driver saw Tow Mater from "Cars" and offered to hook himself up to the truck in an effort to mimic the fate of his No. 78 Furniture Row Chevy SS earlier over the weekend. The end result can be seen above. Sprint Cup practice at Daytona resumes Wednesday and Busch took advantage of some time off to visit Disney World with his girlfriend, Patricia Driscoll and her son, Houston. It was a big couple of days for Tow Mater, as well, as his human voice -- Larry the Cable Guy -- celebrated his 50th birthday Sunday. Even before heading to Disney World, the racing weekend wasn't a complete washout for Busch, who earned himself a spot inside of Row 9 for Thursday's first 150-mile Duel qualifying race.